William R. Terry was born in rural Liberty, Bedford County, Virginia, to William Terry and Lettie Johnson Terry. He entered the Virginia Military Institute in July 1846 and graduated on July 4, 1850, ranking fifteenth in a class of seventeen cadets. He then attended the University of Virginia and became a prosperous merchant and farmer. In 1856, he married Mary Adelaide Pemberton (died 1910). The couple had three sons and three daughters. With the outbreak of the Civil War in early 1861 and Virginia's secession, Terry raised and outfitted a company of cavalry in Bedford County. His performance at the first battle of Manassas garnered attention, praise, and a promotion in September to colonel of the Twenty-fourth Virginia Infantry, replacing Jubal A. Early, who had been promoted to brigade command. Leading a charge at the battle of Williamsburg during the Peninsula campaign, Terry suffered the first of what would eventually be seven combat wounds during the Civil War. He missed the Seven Days' Battles but returned to duty for the Northern Virginia campaign in August. Later that year he assumed temporary command of Kemper's Brigade of infantry in the Army of Northern Virginia before returning to his regimental command. Terry was wounded during Pickett's Charge at the Battle of Gettysburg and later assumed command of the severely wounded James Kemper's brigade. Pickett's rebuilt division was assigned later that year to duty in North Carolina, where it participated in the attacks on New Bern. On May 31, 1864, Terry was promoted to brigadier general and led his depleted troops during the battle of Cold Harbor and throughout the Siege of Petersburg. He suffered his seventh battle wound on March 31, 1865, at the battle of Dinwiddie Court House, but remained with the army until its surrender at Appomattox Court House. Following the war, Terry returned to Bedford County and was elected to the state legislature, serving for a total of eight years. He served briefly as a prison superintendent and was on the Board of Visitors for VMI. He was in charge of the Confederate Soldiers' Home in Richmond, Virginia, from 1886 until 1893. After suffering a paralyzing stroke, Terry returned to Bedford County to convalesce. Terry died in Chesterfield Court House, Virginia. Source of information: Evans, Clement A., Confederate Military History. Atlanta: Confederate Publishing Company, 1899. Warner, Ezra J., Generals in Gray: Lives of the Confederate Commanders. Baton Rouge: Louisiana State University Press, 1959. VMI archives, "William R. Terry." Find a Grave. Retrieved 2008-02-13. 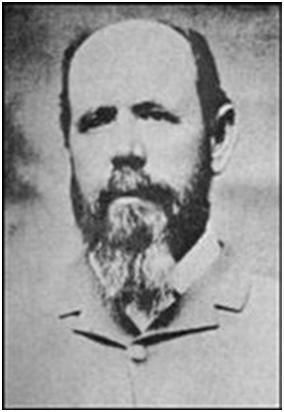 Antietam on the Web - brief biography of Terry and his role at Antietam Virginia Civil War Biographies, "Terry, William Richard." Appletons' Cyclopaedia of American Biography. 1889.